When shopping for tees it’s easy to neglect the long-sleeve designs, but they offer a new dimension to casual styling. 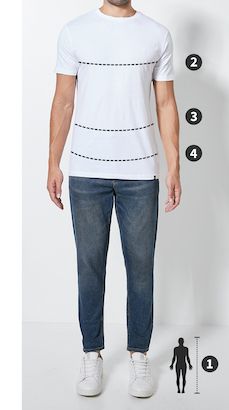 Consider this option, a crew neckline and slightly longer cut. Pair it with black skinny jeans, then add your most comfortable boots.